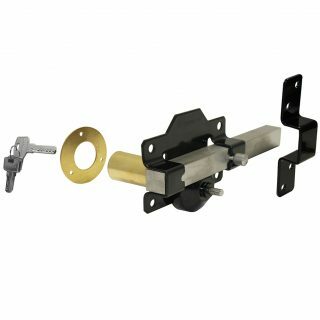 150mm (6″) Plain and Twisted Black ring handled gate latch complete with screws. 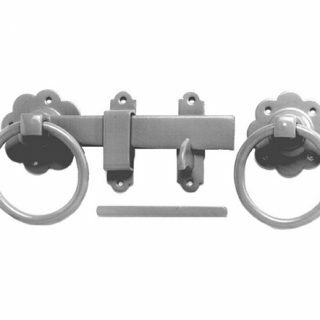 150mm (6″) Plain and Twisted Galvanised ring handled gate latch complete with screws. 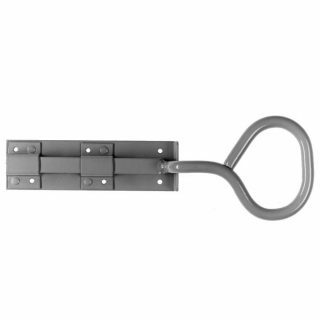 Multi purpose gate bolt with an easy grip bow handle. 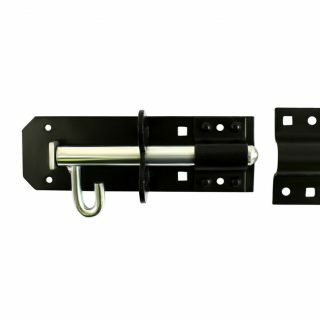 Black multi purpose lockable gate bolt to take padlock complete with screws. 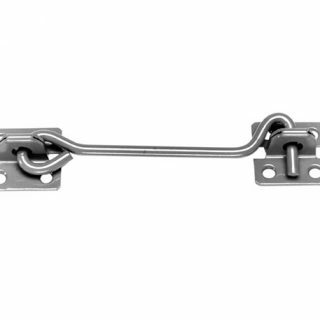 Galvanised multi purpose lockable gate bolt to take padlock complete with screws. 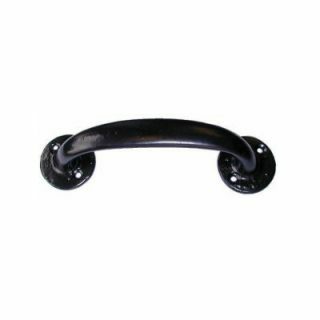 Black Cabin Hook for securing or restraining gates. 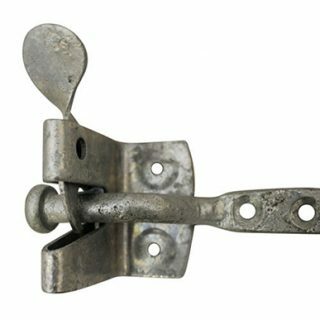 Galvanised Cabin Hook for securing or restraining gates. Black and galvanised 12″ cane bolts, ideal for securing gates. 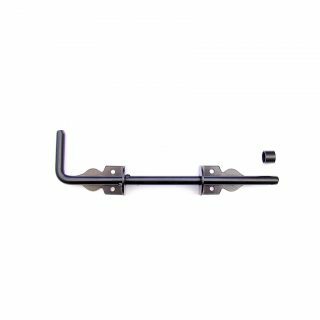 150mm (6″) Tubular Steel Handles complete with fixing screws in black and galvanised finishes.